>> See other Panasonic items. 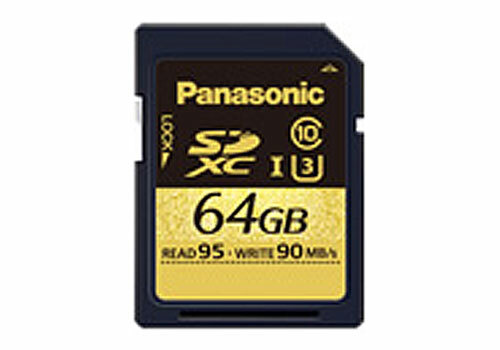 Panasonic SDUD 4K2k SD Card, U3 Class 10 sped, SDHC 90MB/s Read/Write (64GB). *1 With a non-compliant UHS-I device, the speed of the table above is not performed. In that case, high speed mode or default mode is implemented.